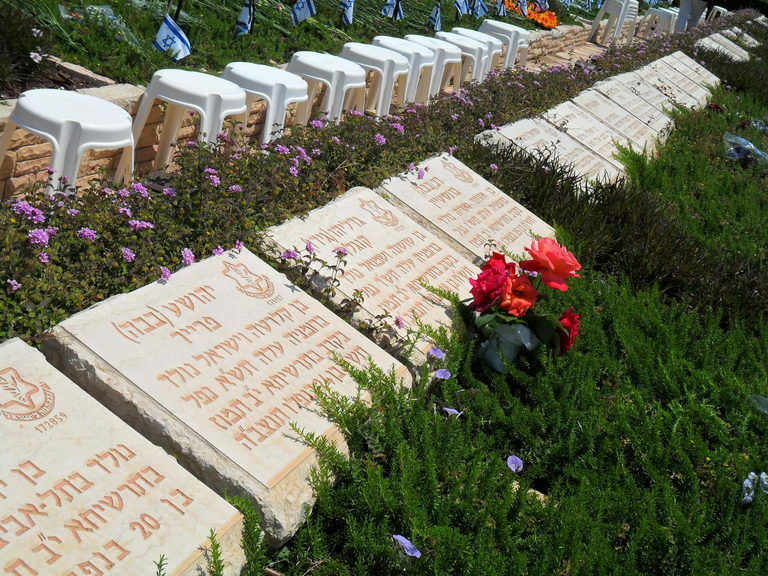 Today my oldest son and I went to the Nahariya Beit HaOlamin (cemetery) for the Yom HaZikaron ceremonies. On the way there, the sirens went off and everybody stopped, got out of their cars and buses and stood. Nobody moved. Needless to say, it is an emotional experience. Here are a few photos of our experience. After the ceremony we looked about at the different keverim. Svetlana’s below captured my attention with the stone engraving of her giving a snappy salute with a happy smile. Below is the kever of Ehud Goldwasser. 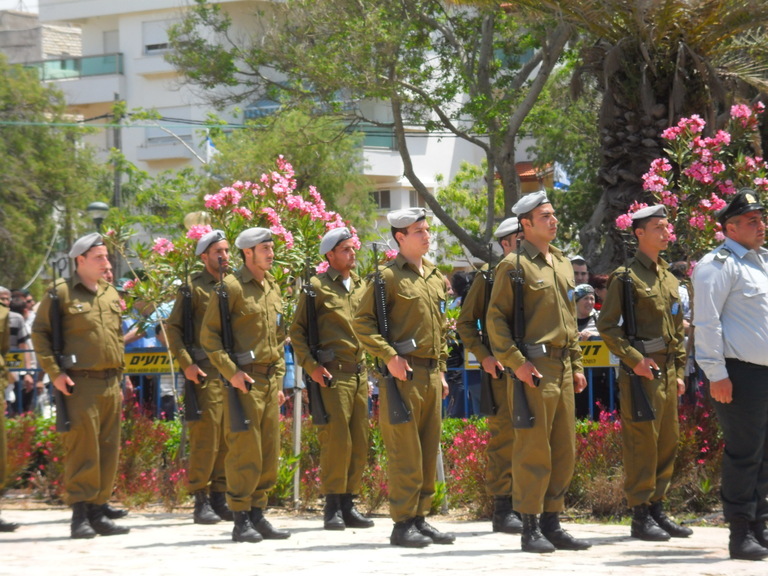 He was captured with Eldad Regev by Hezbollah sparking the war in 2006. Their bodies were returned in 2008. 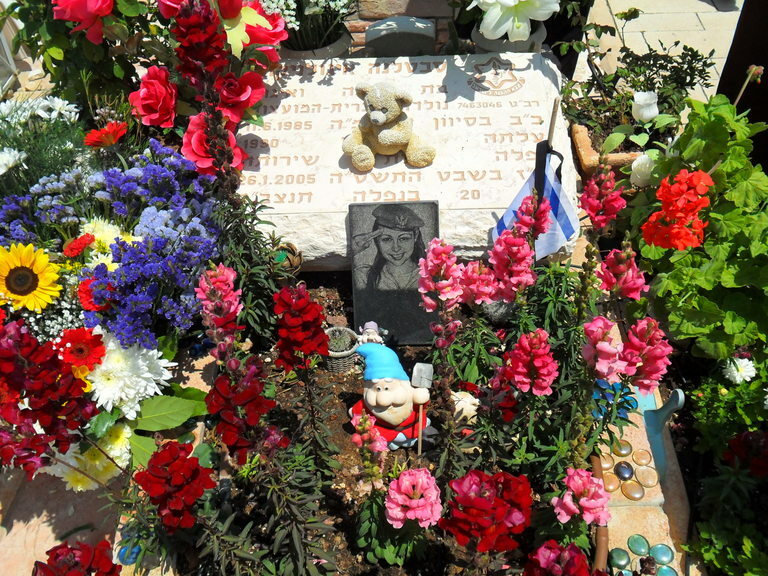 We were privileged to learn about Gedaliah Kuglar (w/ red flowers) from his sister. He was involved in running a supply convoy from Nahariya to Yehiam, was held up fighting Arab forces in Yehiam for months, and then later was killed with his unit in Tarshiha. We were left speechless. 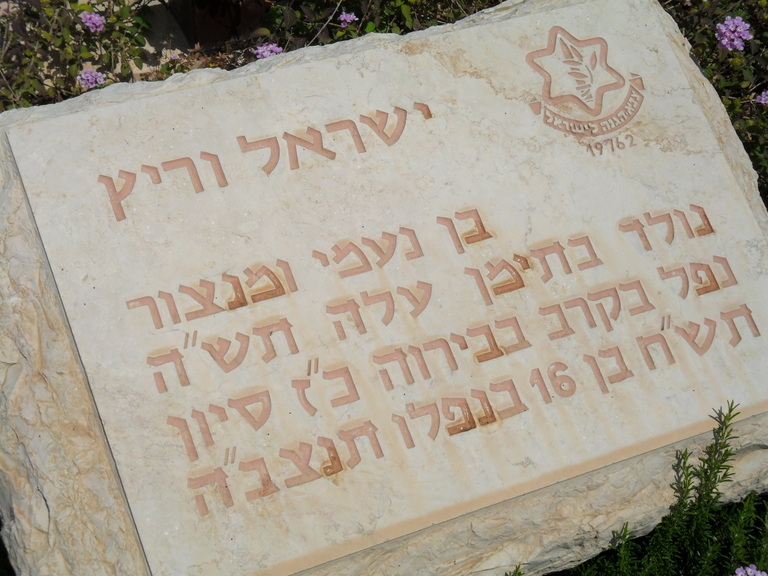 In the kever below, Yisrael was killed at 16. 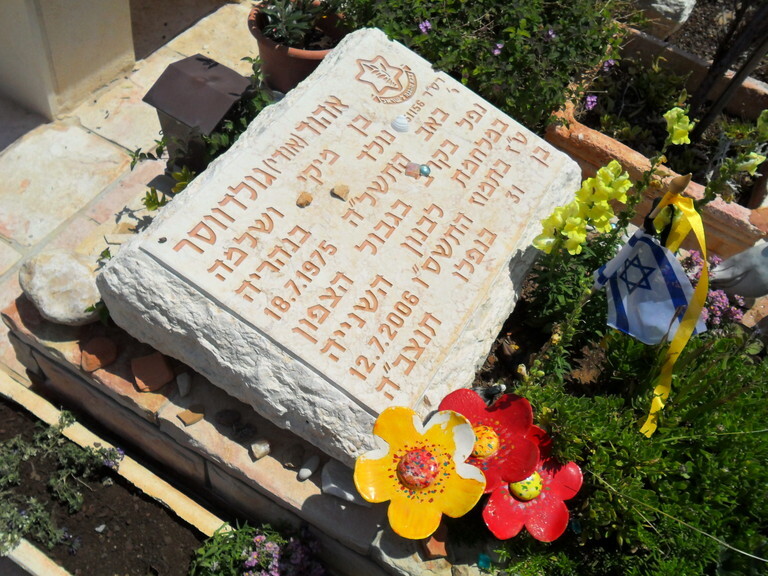 Yisrael, the young Teimani died at 16!